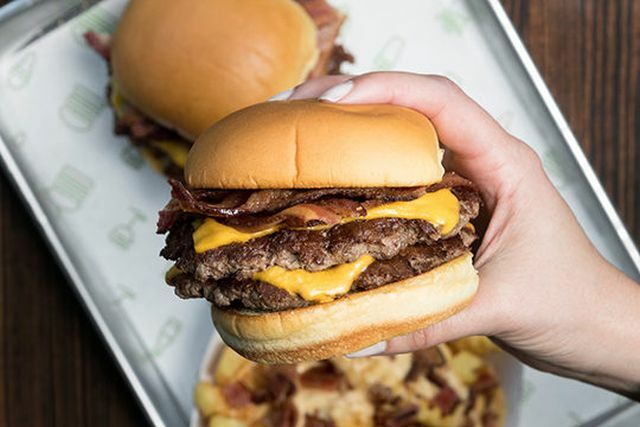 Shake Shack goes with a classic and fairly minimalist bacon-themed menu this summer. - Bacon Double Cheeseburger - A double cheeseburger topped with smoked Niman Ranch bacon. - Bacon Cheeseburger - A cheeseburger topped with smoked Niman Ranch bacon. - Bacon Cheese Fries - Crinkle-cut fries topped with smoked Niman Ranch bacon and Shack cheddar and American cheese sauce. Basically, they've kept it pretty simple; the menu is bacon, cheese, and either beef or fries.